"This is Buttermere village seen from the north tip of Lingcomb Edge. 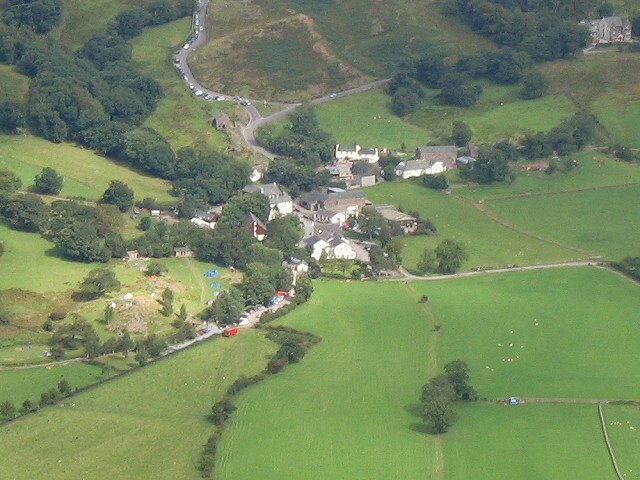 The main road from the Honister Pass to Cockermouth enters in the top right corner of the picture and leaves just above centre on the left. The road entering from the top of shot is the one joining in from the Newlands Valley." Photo by Nigel Davies, 2006.